Does anyone know where the duke and duchess will live after vacating apartment 1 at Kensington palace? The Duke of Gloucester, Grand Prior, the Most Venerable Order of the Hospital of St John of Jerusalem, this afternoon received the Right Reverend Timothy Stevens (Prelate). The Duke of Gloucester this morning visited Chesterfield Canal Trust, Hollingwood Hub, 22 Works Road, Hollingwood, Chesterfield, and was received by Her Majesty’s Lord-Lieutenant of Derbyshire (Mr William Tucker). His Royal Highness later visited Barrow Hill Roundhouse Railway Centre, Campbell Drive, Barrow Hill, Chesterfield. The Duke of Gloucester this afternoon visited Bolsover Castle, Castle Street, Bolsover, Derbyshire. His Royal Highness subsequently visited NGS Macmillan Unit, Chesterfield Royal Hospital NHS Foundation Trust, Calow, Chesterfield. Today, October 2, the Duke of Gloucester had a pretty packed day: He visited Exeter College (1-4) opened Mole Avon's new site at Mill Street, Crediton, Devon (5-6) he opened Chulmleigh Community College (gallery) visited Condition Monitoring Group Ltd at the Hatchmoor Industrial Estate, Torrington as well as Exeter Mathematics School (article) and he attended a reception at the Royal Geographical Society in London. We are delighted to share the letter received from the Private Secretary to HRH The Duke of Gloucester. 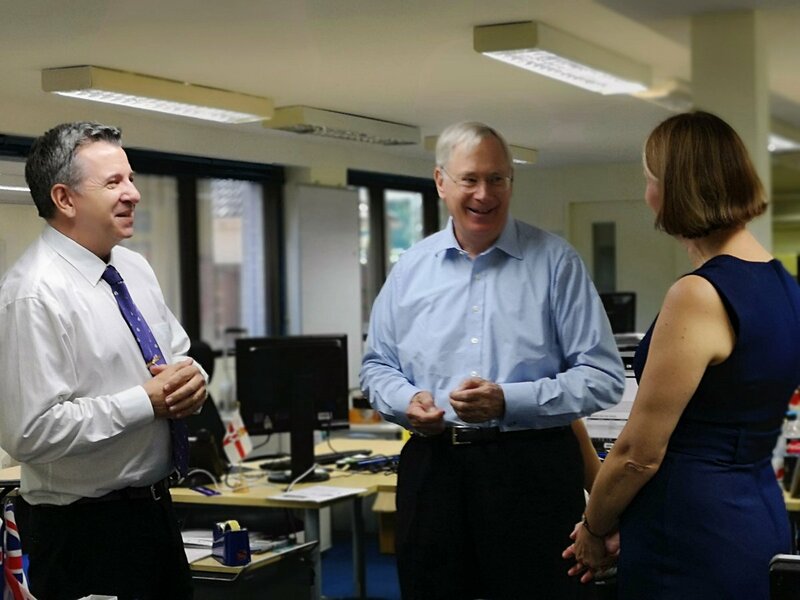 The Duke of Gloucester, Vice Patron, National Churches Trust, this morning received Mr Luke March (Chairman) and Mrs Claire Walker (Chief Executive Officer). 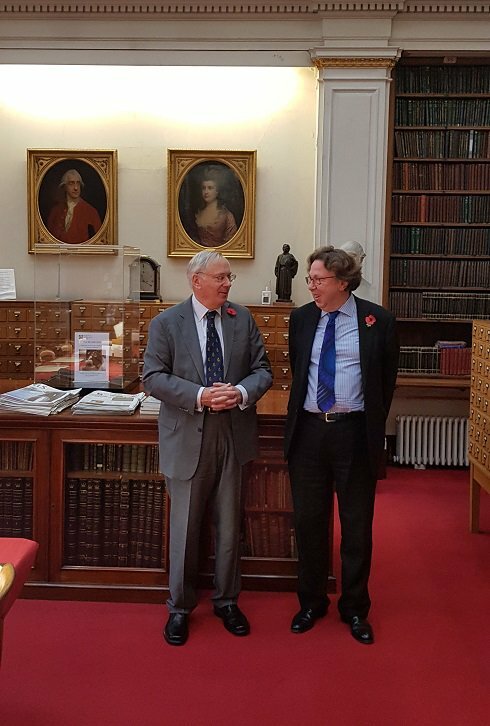 The Duke of Gloucester, Royal Patron, the Blenheim Palace Festival of Literature, Film and Music, this afternoon attended a Luncheon at Blenheim Palace, Woodstock, and was received by Mr John Harwood (Vice Lord-Lieutenant of Oxfordshire). His Royal Highness later officially opened the new home at Fairfield Residential Home, 115a Banbury Road, Oxford. The Duke of Gloucester afterwards visited Woodstock Youth Club, Recreation Road, Woodstock. His Royal Highness subsequently visited the 1066 a Medieval Mosaic exhibition at the Soldiers of Oxfordshire Museum, Park Street, Woodstock. The Duke of Gloucester, Royal Patron, the Blenheim Palace Festival of Literature, Film and Music, and The Duchess of Gloucester this evening attended a Dinner at Blenheim Palace. The Duke of Gloucester this evening departed from Heathrow Airport, London, for Thailand. Lieutenant Colonel Alastair Todd is in attendance. 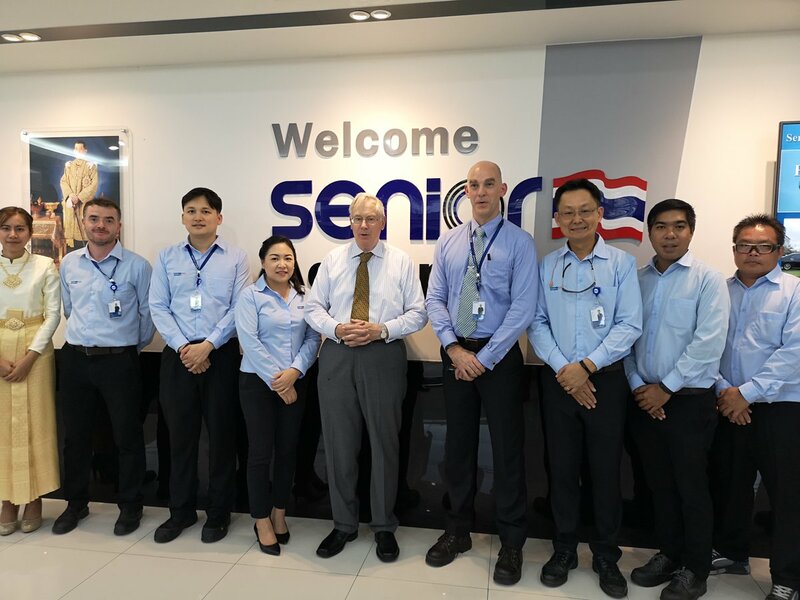 The Duke of Gloucester this morning arrived at Suvarnabhumi Airport, Bangkok, and was received by Her Majesty’s Ambassador to the Kingdom of Thailand (His Excellency Mr Brian Davidson). 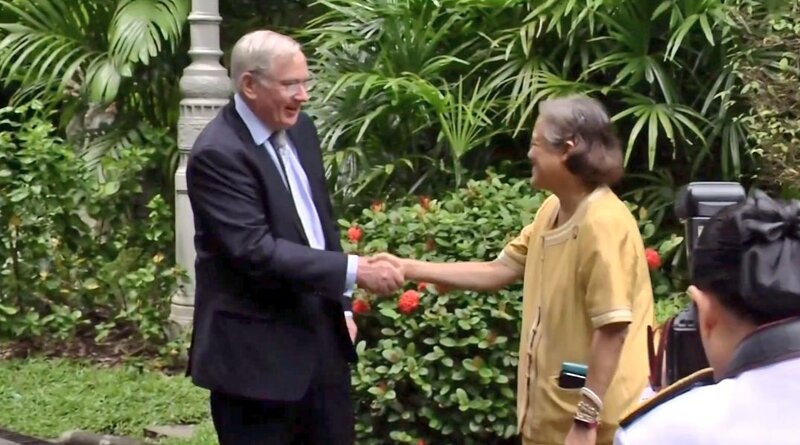 His Royal Highness The Duke of Gloucester arrives in Bangkok today for an official visit that signifies the strength of the UK-Thailand partnership. 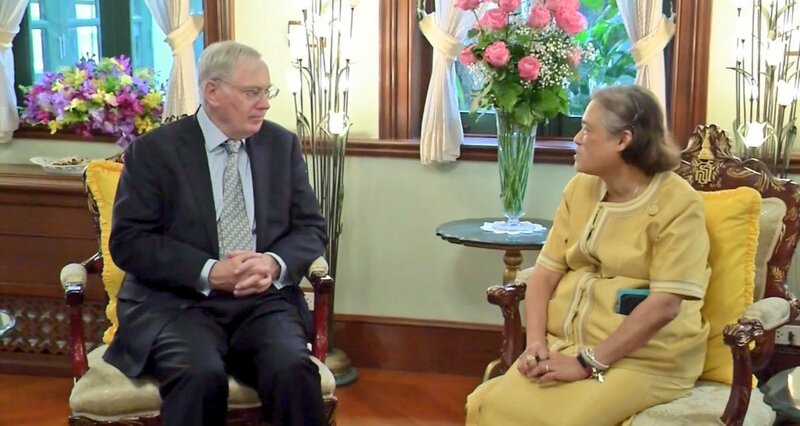 The Duke of Gloucester this morning attended a Luncheon given by Princess Maha Chakri Sirindhorn at Sra-Pathum Palace, Phayathai Road, Pathum Wan, Bangkok, Thailand. 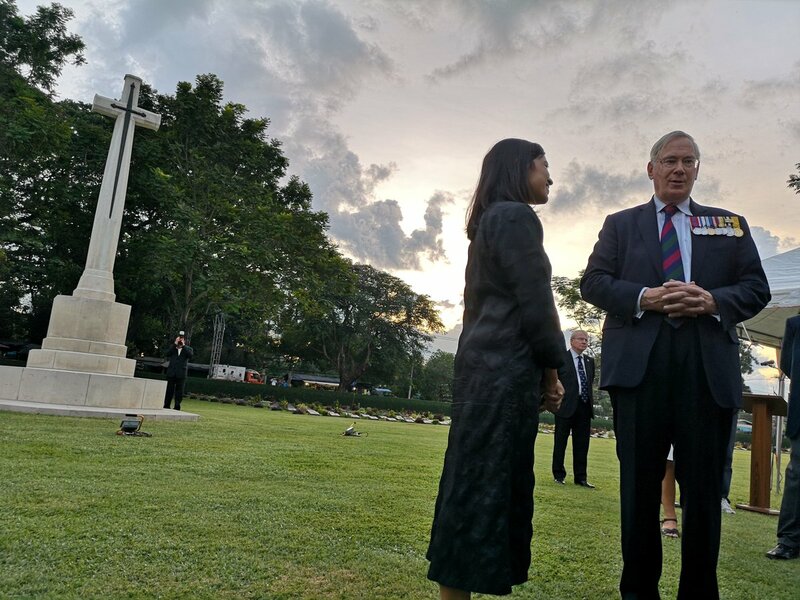 His Royal Highness this evening attended a Reception for the British Community given by Her Majesty’s Ambassador to the Kingdom of Thailand (His Excellency Mr Brian Davidson) at the Residence in Bangkok. 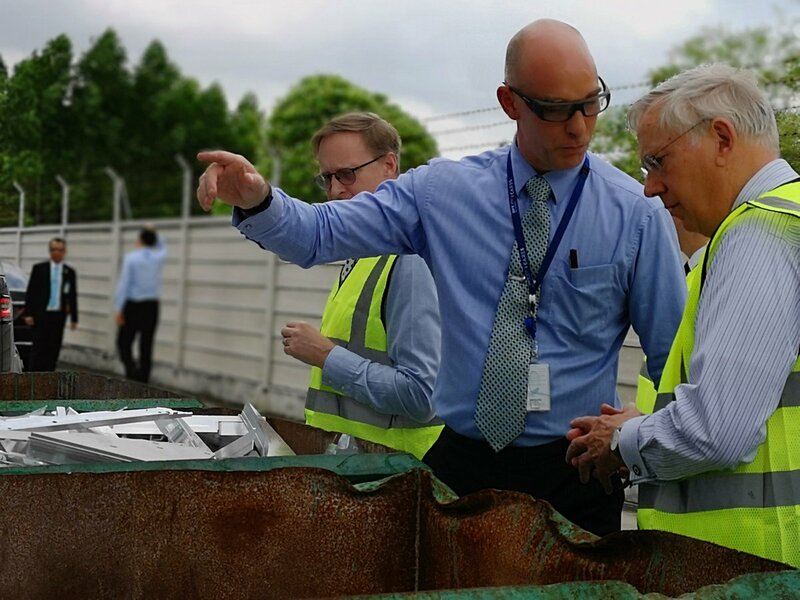 The Duke of Gloucester this morning visited Triumph Motorcycle Factory, Phan Thong District, Chonburi, Thailand. 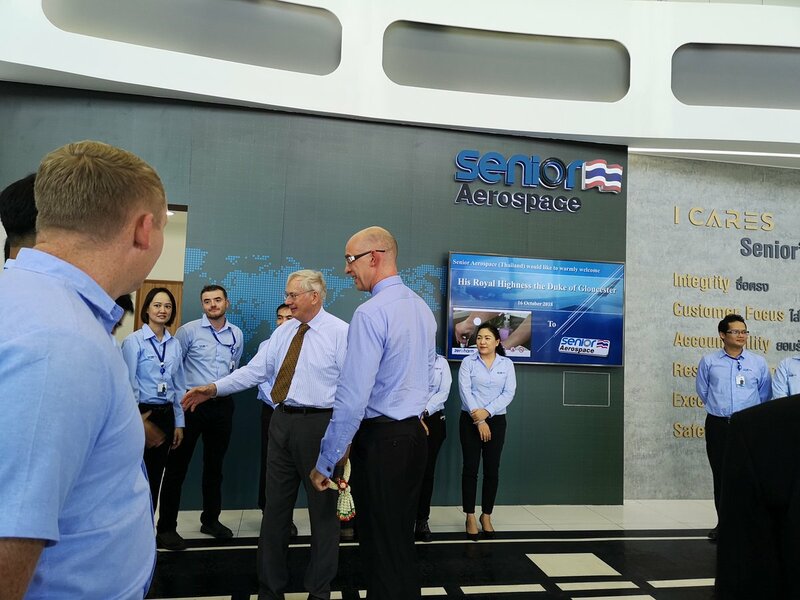 His Royal Highness this afternoon visited Senior Aerospace, Pinthong Industrial Estate, Nhongkham, Sriracha, Chonburi. 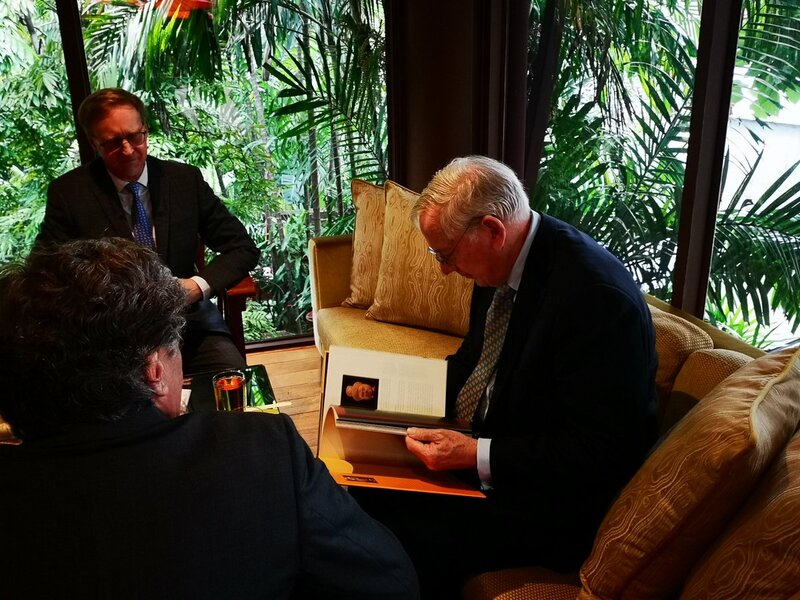 The Duke of Gloucester this evening attended the Thailand International Business Awards, given by the British Chamber of Commerce in Thailand, Amari Watergate Hotel, 847 Petchburi Road, Payathai, Khet Ratchathewi, Krung Thep Maha Nakhon. His Royal Highness later attended a Dinner with Thai Investors given by Her Majesty's Ambassador to the Kingdom of Thailand (His Excellency Mr. Brian Davidson) at the Residence in Bangkok. 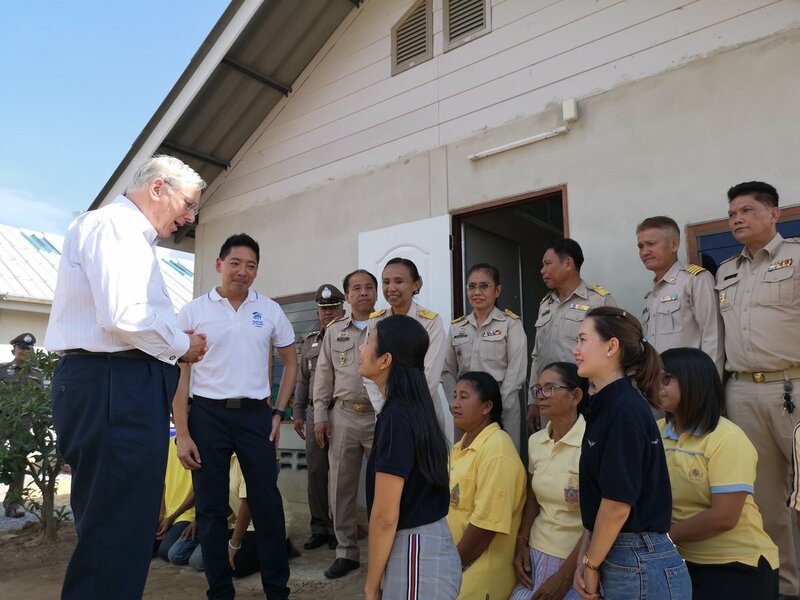 The Duke of Gloucester, Patron, Habitat for Humanity Great Britain, today visited Habitat for Humanity Thailand, Bo Ploy, Thailand. 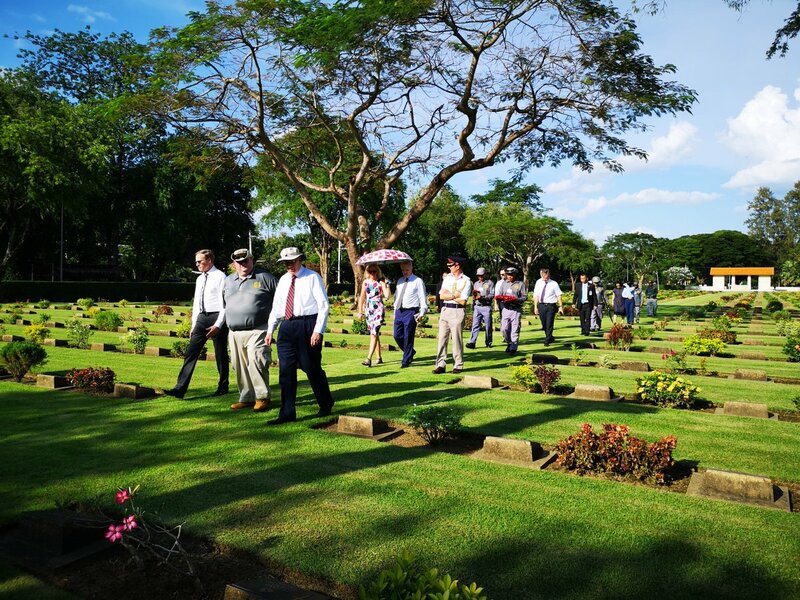 His Royal Highness, Colonel-in-Chief, The Royal Anglian Regiment, this afternoon attended a Ceremony at Chung Kai Cemetery, Kanachanaburi, for the Soldiers who died in the Second World War. 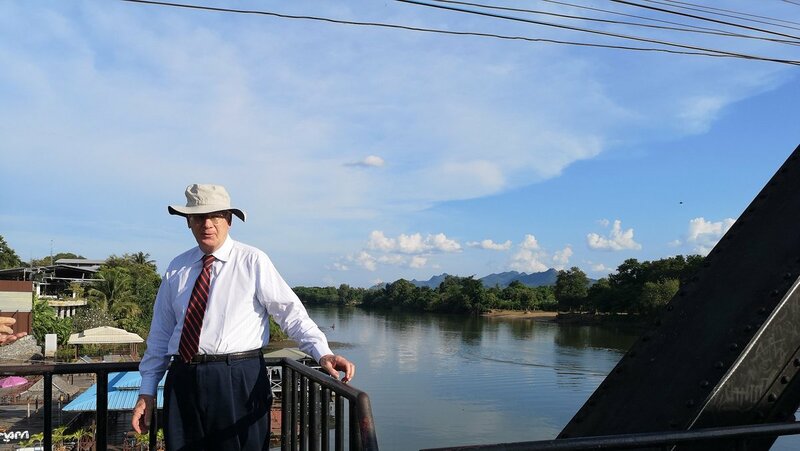 The Duke of Gloucester later visited the River Kwai Bridge, Kanchanaburi. 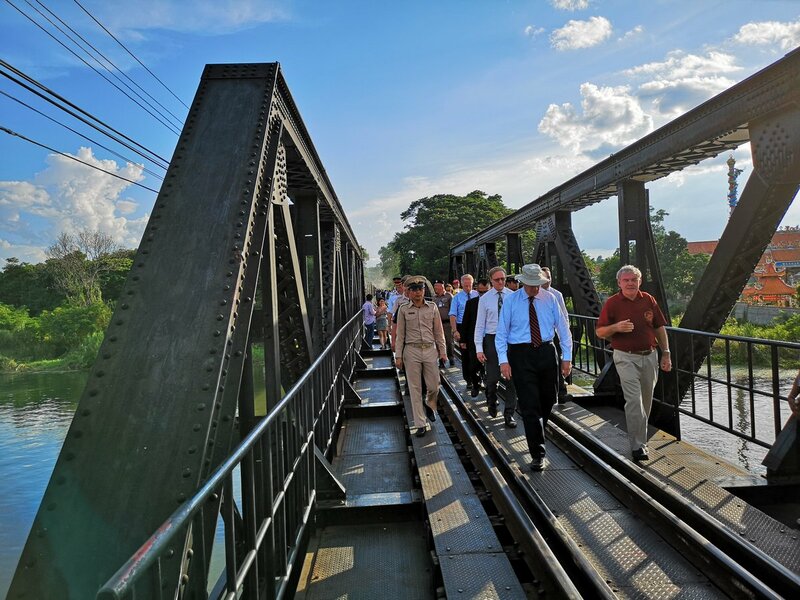 His Royal Highness afterwards visited the Thailand-Burma Railway Centre, Chao Khun Nen Road, Ban Nuea, Amphoe Mueang, Kanchanaburi. 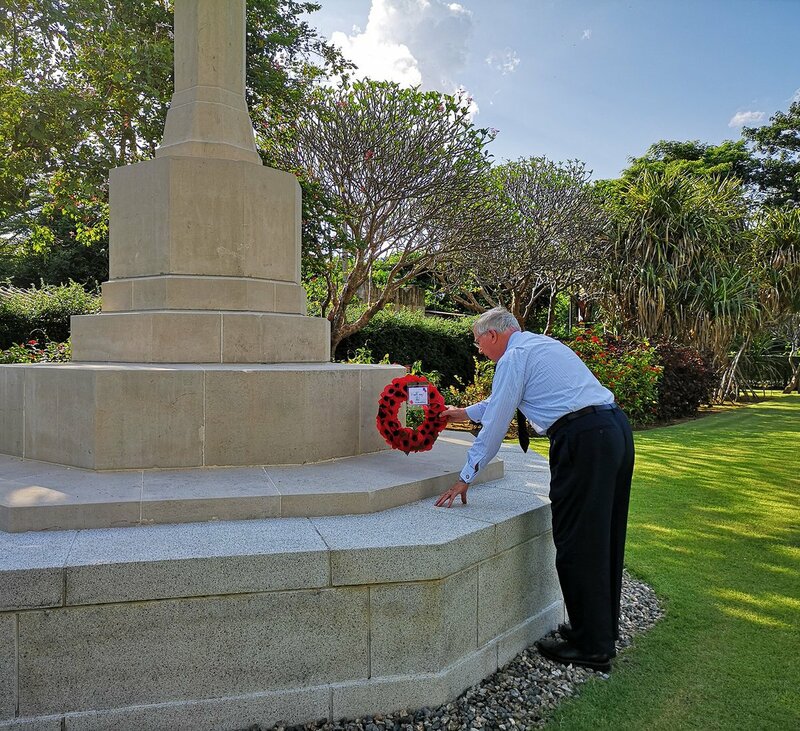 The Duke of Gloucester, Royal Patron, the National Far East Prisoners of War Fellowship Welfare Remembrance Association, this evening attended a Ceremony at Kanchanaburi War Cemetery to mark the Seventy Fifth Anniversary of the Completion of the Thai-Burma Railway. 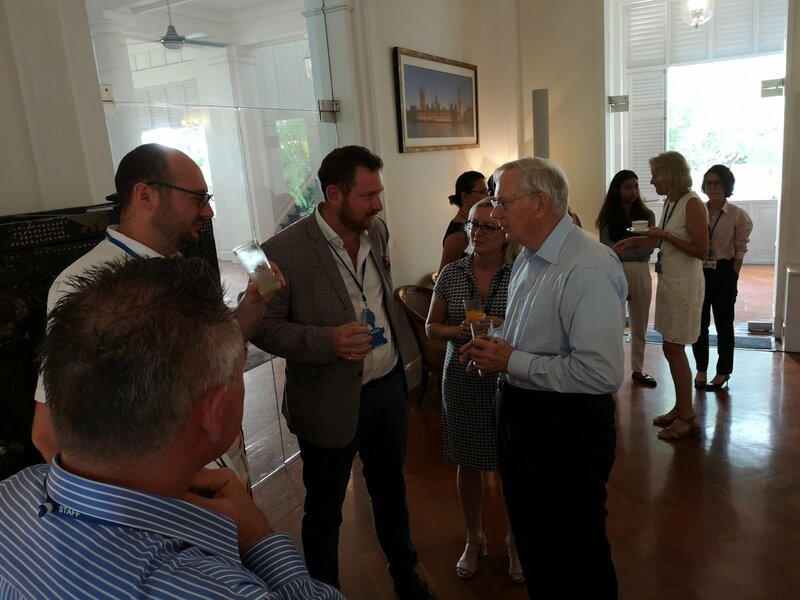 The Duke of Gloucester this morning visited the Royal Project Foundation Centre, Chiang Mai, Thailand. His Royal Highness today visited the Act Child Advocacy Centre, Chiang Mai. 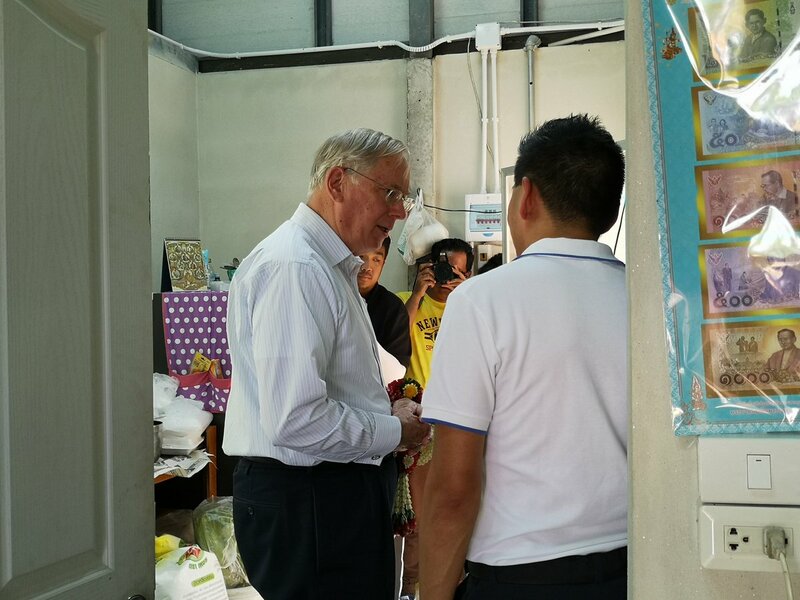 The Duke of Gloucester this afternoon visited Care for Children, Nong Ho Road, Chiang Mai. Duke of Gloucester visited the Buddhist-Lanna architecture at Wat Padarapirom Temple in Mae Rim District, Chiang Mai Province, on his official visit to the Thailand. 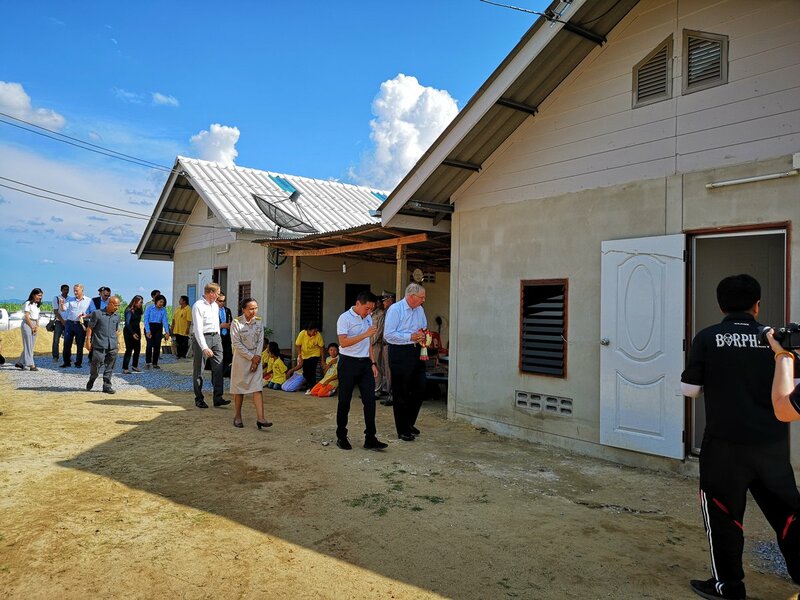 The Duke of Gloucester this morning visited Satit Chula School, Khwaeng, Wang Mai, Khet Pathum Wan, Bangkok, Thailand. 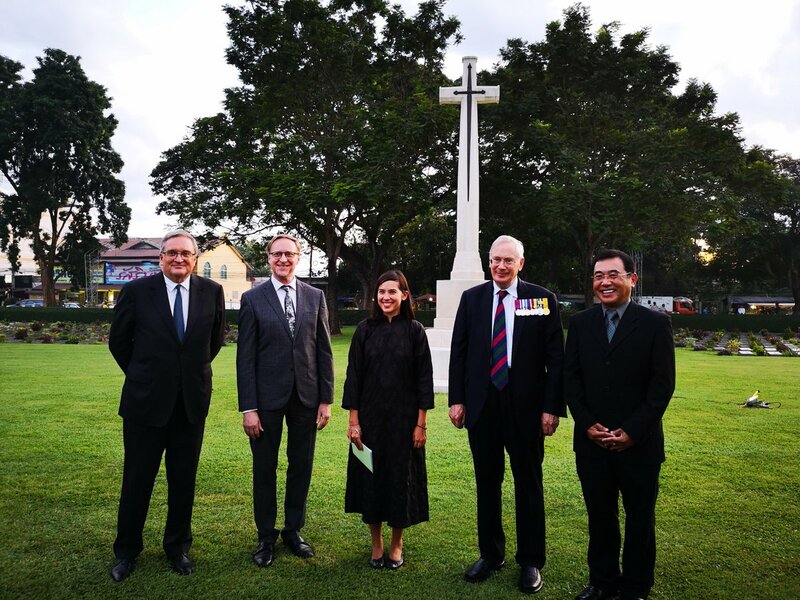 His Royal Highness later attended a Reception for the British Embassy Gurkha Force given by Her Majesty’s Ambassador to the Kingdom of Thailand (His Excellency Mr Brian Davidson) at the Residence in Bangkok. 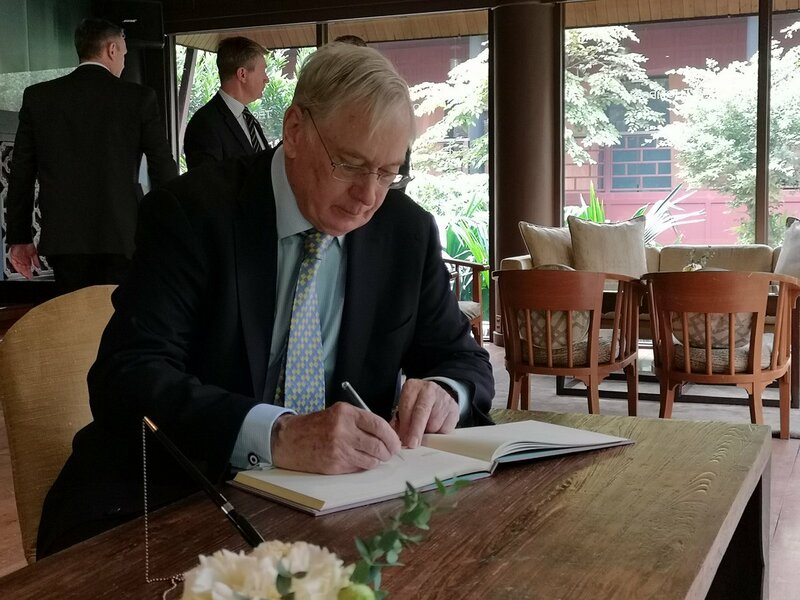 The Duke of Gloucester this afternoon attended a Luncheon with leading members of the British business community in Thailand at the Mandarin Oriental Hotel, 48 Oriental Avenue, Khwaeng Bang Rak, Khet Bang Rak, Krung Thep Maha, Nak-hon, Bangkok. 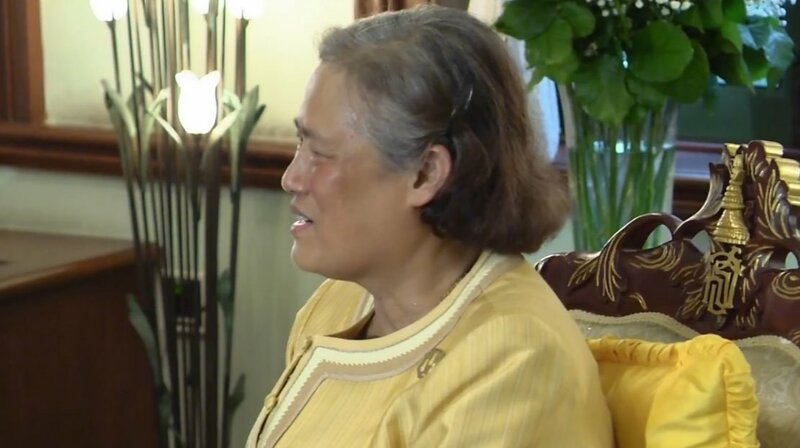 His Royal Highness, Patron, Habitat for Humanity Great Britain, this evening attended a Dinner in support of Habitat for Humanity given by Her Majesty’s Ambassador to the Kingdom of Thailand at the Residence. The Duke of Gloucester this evening arrived at Heathrow Airport, London, from Thailand. Lieutenant Colonel Alastair Todd was in attendance. The Queen gave a State Banquet this evening in honour of The King and Queen of the Netherlands at which The Prince of Wales and The Duchess of Cornwall, The Duke and Duchess of Cambridge, The Earl and Countess of Wessex, The Princess Royal and Vice Admiral Sir Tim Laurence, The Duke and Duchess of Gloucester, The Duke of Kent and Princess Michael of Kent were present. The Duchess of Gloucester, President, this evening attended a Concert by the Czech Philharmonic at the Royal Academy of Music, Marylebone Road, London NW1. The Duchess of Gloucester, Royal Patron, Progressive Supranuclear Palsy Association, this evening attended the inaugural Progressive Supranuclear Palsy and Corticobasal Degeneration International Research Symposium at the Royal College of Physicians, 11 St Andrew’s Place, London NW1. The Duke and Duchess of Gloucester this morning attended the Senior Serving and Retired Officers' Briefing at the Army and Navy Club, 36-39 Pall Mall, London SW1. The Duke of Gloucester, President, Royal Agricultural Benevolent Institution, this morning received Mr Paul Burrows upon relinquishing his appointment as Chief Executive and Ms Alicia Chivers upon assuming the appointment. 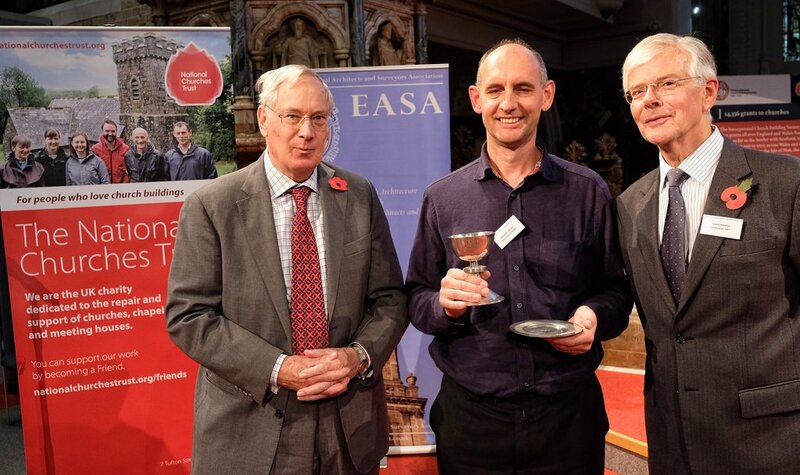 Mr Malcolm Thomas (Chairman) was present. Also today he attended a reception at the Apothecaries Hall in London in his role as Patron of the British Homeopathic Association. 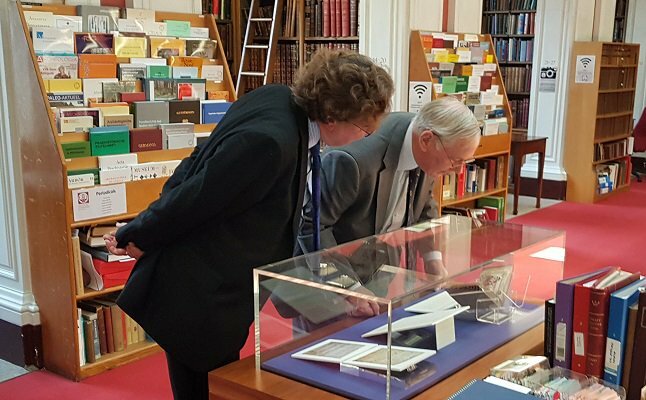 The Duke of Gloucester, Patron, the Society of Antiquaries of London, this morning attended a Meeting at Burlington House, Piccadilly, London W1. His Royal Highness, Royal Honorary Colonel, Royal Monmouthshire Royal Engineers (Militia), this afternoon received Lieutenant Colonel Joseph Gossage upon assuming his appointment as Commanding Officer. 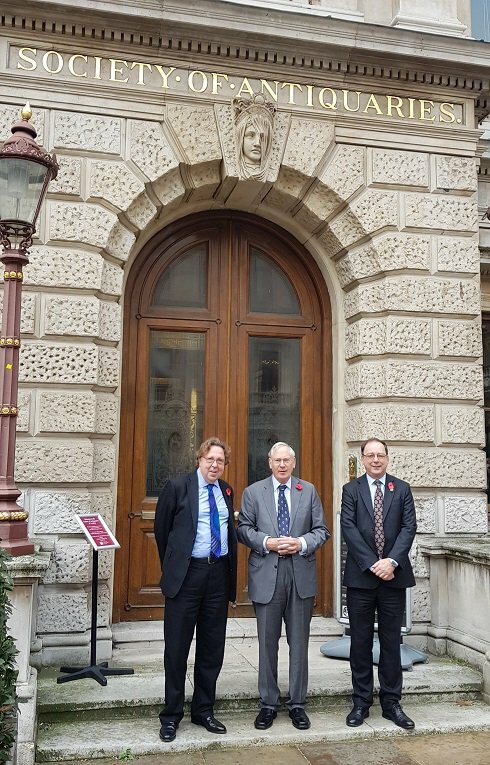 The Duke of Gloucester, Patron, British Homœopathic Association, this evening attended a Reception at Apothecaries' Hall, Black Friars Lane, London EC4. The Queen gave a Reception at Buckingham Palace this evening for recently retired and appointed Lord-Lieutenants. The Duchess of Gloucester and Prince Michael of Kent were present. 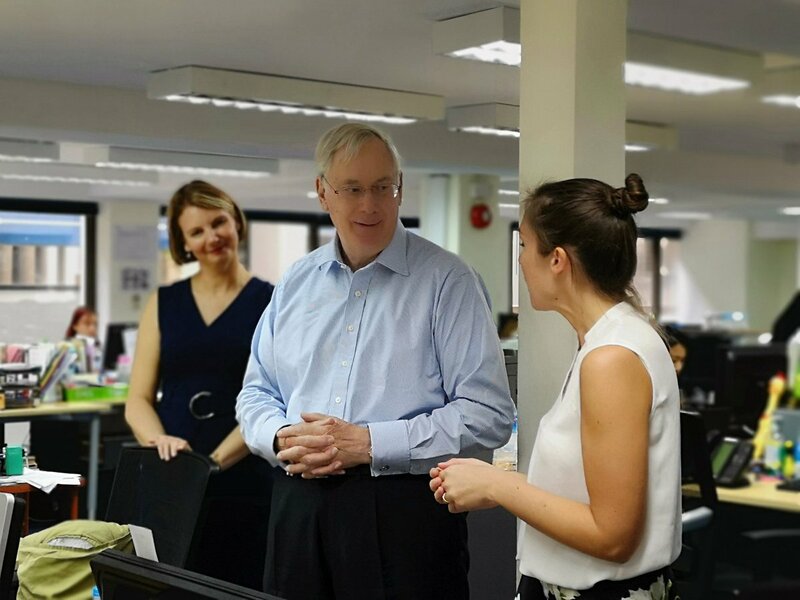 The Duke of Gloucester, Patron, St George’s Society of New York, this morning received Mr Philip Warner (President) and Ms Anna Titley (Executive Director). His Royal Highness, Patron, St George’s Society of New York, this evening attended the Advisory Council Dinner at the House of Lords. The Duchess of Gloucester, Honorary President, the Lawn Tennis Association, this evening attended a Dinner at the Lansdowne Club, 9 Fitzmaurice Place, Mayfair, London W1.